The surrounding area has a whole host of attractions and locations to explore. Sandy Balls is conveniently located just 30 minutes from Southampton and is ideally located for exploring the stunning New Forest National Park. Marwell Zoo offers an incredible range of exotic and endangered species, where you can get up close and personal to the wonders of the natural world. There is plenty to do on site, from adventure playgrounds and rail trains to picnic areas and cafes. Adventure Wonderland Dorset’s number one family theme park for young children with indoor and outdoor attractions. With over 30 rides (some suitable for small children as well), your family will surely have a great day out! 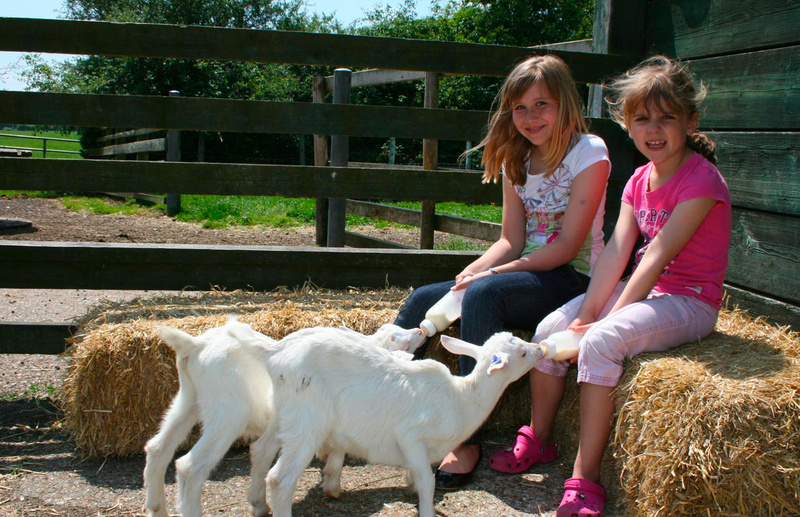 Longdown Activity Farm Get close to furry friends at this fantastic family farm. Bottle feed kid goats, cuddle with a baby rabbit or explore their farmyard buildings! 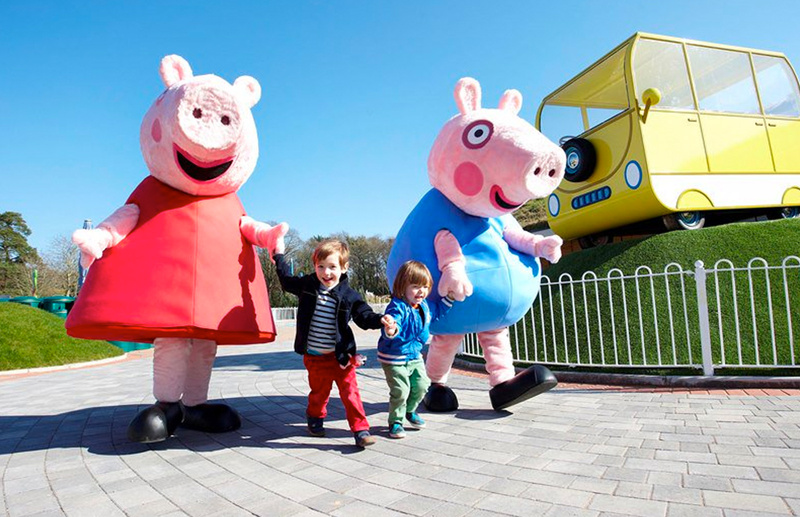 Paulton’s Park with Peppa Pig World has over 60 wonderful rides and attractions. The home of Peppa Pig, Paulton’s now also features a dinosaur theme land (new for 2016) called the Lost Kingdom, so you will find something new even if you have visited before. Exbury Gardens Take a stroll around the world famous 200 acre Rothschild Gardens and ride the steam railway. Kids will love the adventure playground and the ice-cream from Mr Eddy’s Tea room. 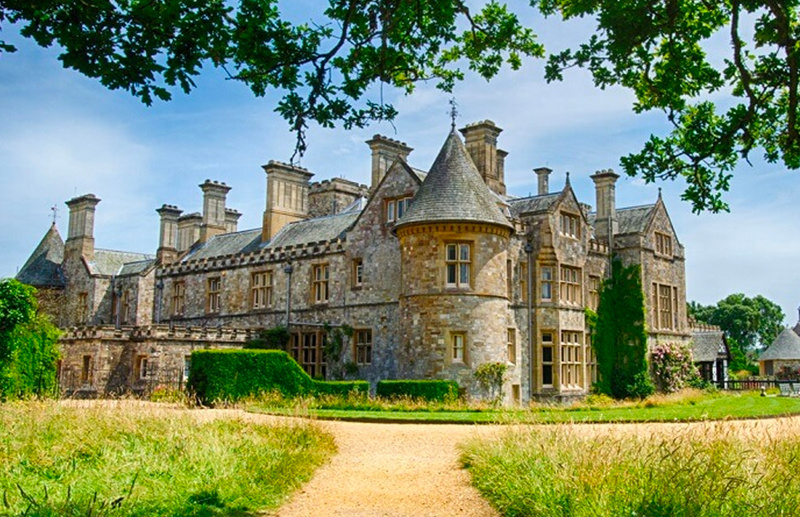 Beaulieu: Spend a great day out in Beaulieu and make a day unforgettable for everyone. Dad will surely like the famous National Motor Museum, Mum will fall in love with the Victorian-style country house and the kids can enjoy the rides on the Monorail and Veteran Bus. New Forest Towns & Villages The pretty towns of Brockenhurst, Lyndhurst and Lymington all have something different to explore. Bournemouth’s Beaches: With its seven miles of award-winning beaches, Bournemouth is a great place to visit when the sun is out! Build a sandcastle, swim in the sea or go for a meal or shopping if you are not lucky with the weather. Ringwood Brewery: Take a tour of this popular local brewery including a drink in the Pin Room. Please note that they don’t accept kids under 8 years old.